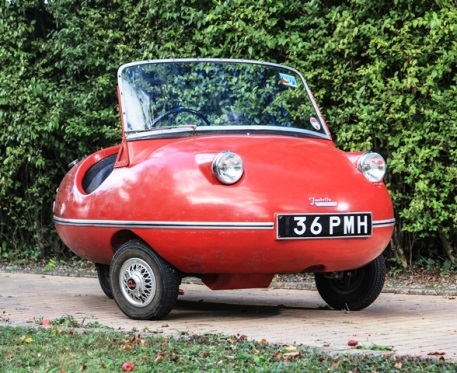 Microcars were big news in November when Essex based Wayne Lee put his collection up for sale at Brooklands. Having collected Micro or Bubble cars for some years Lee decided that they should be enjoyed by a different audience. The sale took place at Mercedes-Benz World premises at Brooklands and the website giving the results of the whole sale appears at the foot of this news item. Hope you enjoy reading and viewing the pics. 1984 Bamby Tricycle sold for £4,592. 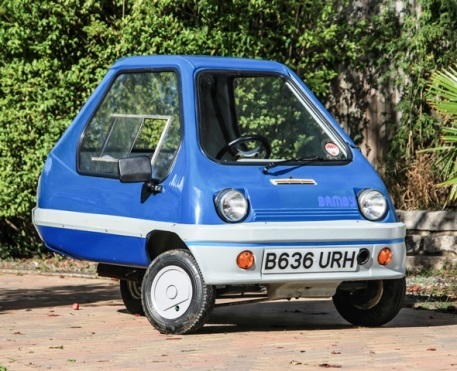 Bamby Cars were a British built marque of microcars produced in small numbers at Hull in the early 1980s. 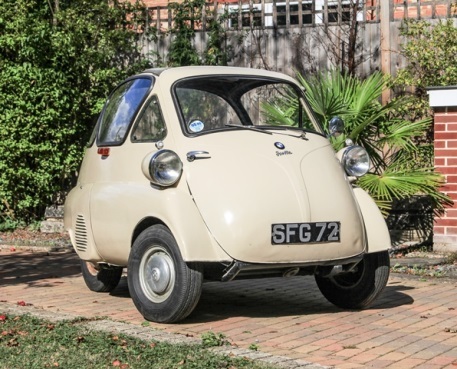 1957 BMW Isetta 300 Plus (Bubble Window) sold for £19,600. Introduced at the Milan Show in November 1953, the egg-shaped Isetta was like nothing seen before, boasting a hinged front for entry and a canvas sunroof. 1959 Family Frisky Three sold for £16,800. In September 1958, The Marston Group of Companies acquired a controlling interest in Henry Meadows (Vehicles) Ltd and the name of the production company was changed to Frisky Cars Ltd.
2008 Carver One sold for £29,680. 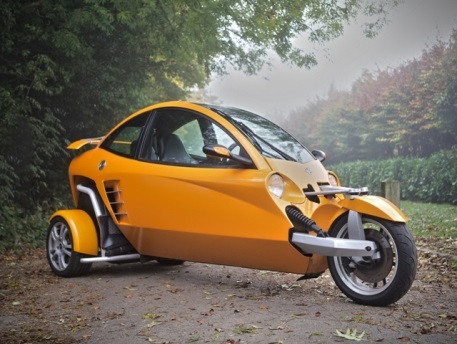 The Carver is a tilting three-wheeled vehicle using an automatic balancing technology to balance the passenger compartment under all conditions.